Overall, very good experience. A minor glitch our bill, but handled very quickly. 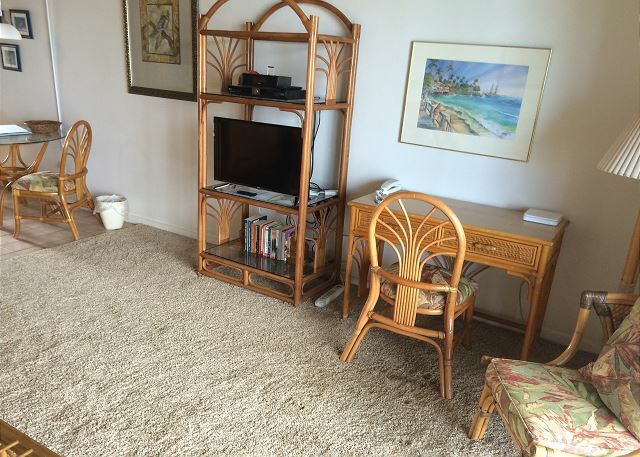 The property was very clean, excellent ocean side facility. The views are killer. Giant turtles less than 20 feet off shore feeding on the laver rocks. Weather was very good. Lots to do on this island. Wonderful location and views, as expected given previous visits. We LOVE the Hale Kai and the location! This is our 3rd visit. The last 2 units we stayed in were nice. This unit was bad. It smelled like a nursing home, the kitchen and bath cabinets were old, faded, chipped up, and squeeked so loud they would wake up my husband in the back room. I opened the top one to get a coffee mug our first morning and the handle was broken off the first one I grabbed! The bed was as hard as the floor and obviously very old. It seemed like it was just rented to death. I did like the upgraded stove and microwave. The step up into the shower wasn't even safe! I did NOT feel like it was worth the charge of about $130 a night. We may stay elsewhere in Honokwai next time we come. It could of been a tad cleaner and there was MINIMUM kitchen service items. We both felt sad returning home. It wasn't what we were hoping to stay in. We had a wonderful vacation staying here! The location and views were amazing and the property management company was top notch. We will be back!!! Outstanding. This was our 4th stay in unit 214. We will return asap. We love the Hale Kai! A wonderful place to play and relax, with a really kind and fun community of neighbors to be with. It's our favorite place to stay on Maui! Always good to come back to the Hale Kai. Disappointing. Unit was very dilapidated. We were without internet and cable first night. Next morning notified office cable didn't work after following directions in book. Was told they would be up to help after they were settled in that morning. After a couple of hours, I went and checked with office again. She then followed me to the unit to assist. She was able to get cable working. I stated it might be a good idea to update directions since they are not correct. She responded with "we have 25 units and each one is different." I feel like the owner of each unit could be required to supple directions to their TVs. Customer service at the Hale Kai could be improved. I have stayed in some nice Hale Kai units. Owners should be required to maintain units up to a certain quality since they are renting the units for profit. I stay for the location. We did not even have enough water for 2 short showers. Greasy kitchen stove area. Sliding door does not lock at door handle. It would be nice to have coffee filters supplied in each unit. Please send me the list of rooms I have stayed in over the years as I requested when we were there this week. I have not seen an email yet. Great views, great location, perfect size for us, and Valerie is SO friendly and hospitable...we can't wait to return. This condo was wonderful! For the price, you can’t get much better. The condo is dated but it works for a family with kids. Not worried about messing up anything fancy. The location can’t be beat. Who could complain about waking up with such a beautiful view?! 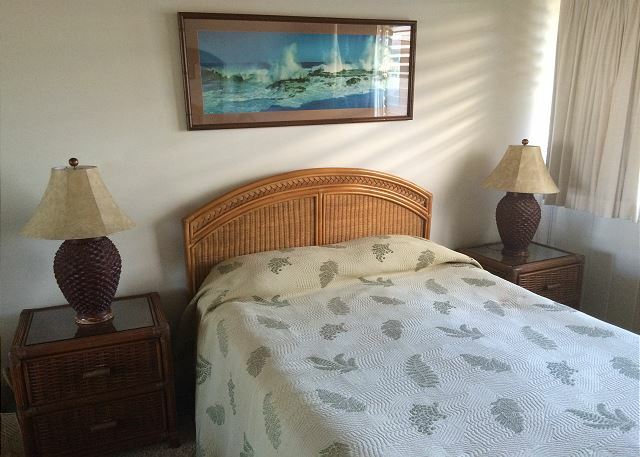 The location is the whole reason for staying at the Hale Kai. The unit is quite ordinary. Very good. With a couple of exceptions. The toaster didn't work properly. Kitchen and bath could use some updating. Overall a great location. One of the oldest buildings in the area, two stories, close to the water, with a pool. Not the exotic or high end kinds of amenities that one might find in other mega hotels, but location is everything. Some rental units are upgraded. We were in 214, which needed some help in the kitchen and was a little care-worn. But the unit was upstairs, and looked to the ocean. Room 214 with 2nd floor balcony view was outstanding. Valery was terrific. The pool & grounds excellent. The rental was a great experience. I would recommend the property to friends and family. Valerie, the property manager was wonderful. She provided great customer service and was always friendly. The ocean view was beautiful and the property inside and out was clean. 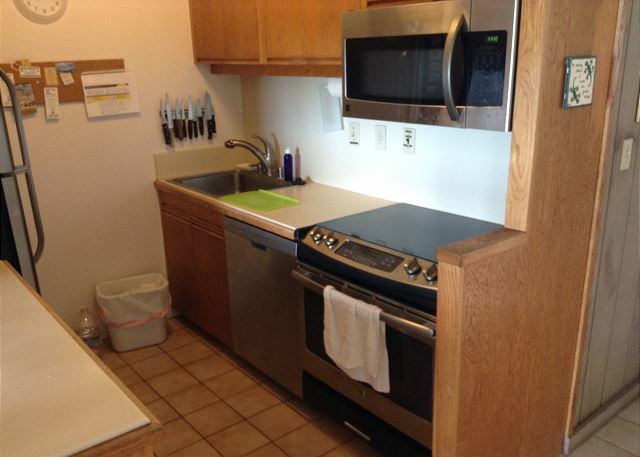 The kitchen has new appliances and older cabinets/countertops. The kitchen and bathroom are small but functional and there is some street noise from the bedroom. Parking is close and easy. The laundry facility was on property, new and reasonable. We would come back again! Our condo has the most amazing views. Its located near a wonderful coffeeshop and beach with a park. We were very happy with where we stayed. Only thing with no air conditioner you have to leave all the windows open which is great, but the bedroom is on the parking lot side so its not very quiet and bright. But for us the view made up for that. Location could not possibly be better, ocean front with wonderful ocean surf sights and sounds all the time. Unit was clean and well appointed with everything we needed. Staff was very helpful. The pool was a delight, clean, sparkling and steps from the ocean and great snorkeling. Obviously the association has given careful thought to recycling of various types of refuse. We were impressed with the thoughtful convenience and tidiness of the laundry/disposal area. We enjoyed viewing the resident sea turtles from the pool deck within minutes of our arrival. Looking forward to our next visit. Great condo, can't wait to come back! We enjoyed our stay here, it was so relaxing. I appreciated the friendly staff and also the cleanliness. This is our 2nd time staying at Hale Kai. We stayed in unit 214. We loved waking up to hearing the waves and it was great being able to watch the sunset from our balcony. The pool area is great and the snorkeling from the beach is fantastic. There is a little coffee shop and farmers market store across the road. I would highly recommend staying here and we can't wait to go back. We love to stay at the Hale Kai!!! The quaint property has a spirit of friends and family all around. We've stayed there a few times and would absolutely return!! The first days there were sea turtles dining on the rocks and one even came up on the beach after sunset. A few days later we took paddle boards about a half mile straight out from the property and found more sea turtles. We just sat on our boards and waited until they surfaced. Some were curious and swam right up to us! Amazing experience!! We were back for our yearly trip! As always it was a great time. Already looking forward to going back next year. This is the fourth time we've stayed at Hale Kai. Gets better and better. Perfect location. Great views of whales and turtles -- from our balcony! A short walk to restaurants, shops, and markets. We don't have a car, but the bus takes us anywhere -- $4.00 for an all day pass. Can't beat it. This was a very nice Maui location. It was our first trip to Maui. Our children stay here almost every year and suggested we join them. We are happy we did. There are lots to see and do in the general area. We were able to tour around points of interest by car and also purchased an all day bus pass and spent one day traveling the island, one end to the other. We had a great time at Hale Kai. The unit was very nice, right on the ocean. The pool side patio and pool were very nice. Love the view from the lanai. managers Valerie & Marie were friendly, knowledgeable & helpful. Gabi, the cleaner, was so sweet & competent. Pricing good. Highly recommend Hale Kai. 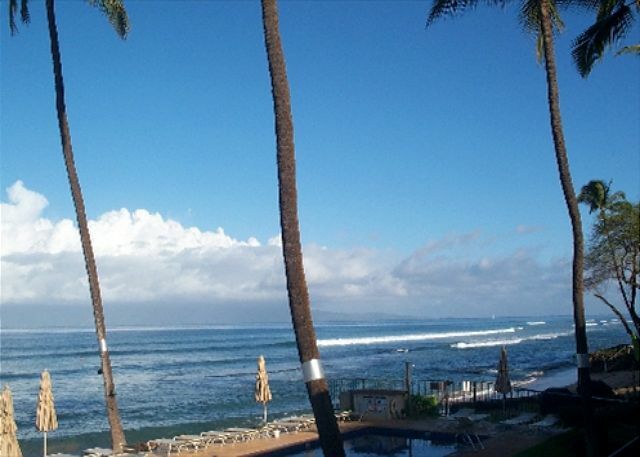 Hale Kai is a small relaxed, oceanfront condo property. The views are fabulous, the management is excellent, and the units are comfortable and clean. I've stayed at Hale Kai twice now and would not hesitate to return. Hale Kai Lover since 1979! What can I say....I LOVE THE HALE KAI! I've been coming here with my family since 1979 when I was a lad of fifteen. I'm 51 now and plan on coming here as often as I can. I'm a flight attendant with Alaska Airlines so I'm sure I'll have plenty of opportunities in the future. I very much enjoyed unit 214 for it's splendid view, comfort and affordability. Internet reception was occasionally marginal but that was no real issue. C'mon, when you're in paradise you should be able to disconnect now and then! No gripes here...Love you guys! Aloha, What can we say, 'thanks for a great review', we look forward to your next visit. Mahalo From owner and wifi maintenance guy: sorry about the flakey wifi; but it is now fixed. Beautiful views, great location, excellent service from the management company, and a very clean and comfortable stay. We honestly never stay anywhere else when we come to Maui, and can't wait to return! We stayed at the Hale Kai in March and the location was unbeatable!!! Turtles right outside our door every afternoon, whales jumping fun the distance and a pool right on the ocean. Most of the other renters were wonderful inviting us to participate in their sunset conch blowing ceremonies. I would say that it was less relaxing when a lot of children were present in the pool as it is a small complex and they tend to take over being very loud. But it is a small complex and we thoroughly enjoyed our stay there. The condo was very clean and perfect for our needs. We have returned to the Hale Kai numerous times. As always it was wonderful. Many of the guest come back at the same time and we all feel like family. So Google to see and be with them. Beautiful property and great pool. Unfortunately we had some very rude people there who didn't think the rules applied to them and they put a huge damper on the second half of our trip. Without them, it would have been a perfect vacation. First, you can not beat the location. the rooms vary in condition based on the last time the room was updated. room 214 needs attention. the bed was a full and not appropriate for a couple. the furnishings are dated but clean. overall the best part are the people who stay there and the million dollar view. We enjoy our stay at the Hale Kai and come back yearly. Perfect place to relax! We had a wonderful time staying at the Hale Kai. On our sixth return visit to the Hale Kai, we found everything to be as friendly and comfortable as always. The unit had had some new appliances installed and while the rest of the unit is somewhat tired everything was clean and well appointed. Office, cleaning and grounds staff are a highlight of the Hale Kai: friendly, accommodating and professional. Mahalo for a wonderful experience yet again. Aloha - Great to hear you enjoyed the updates in #214 and the Hale Kai experience for your 6th visit. Mahalo and we look forward to your return in 2015. 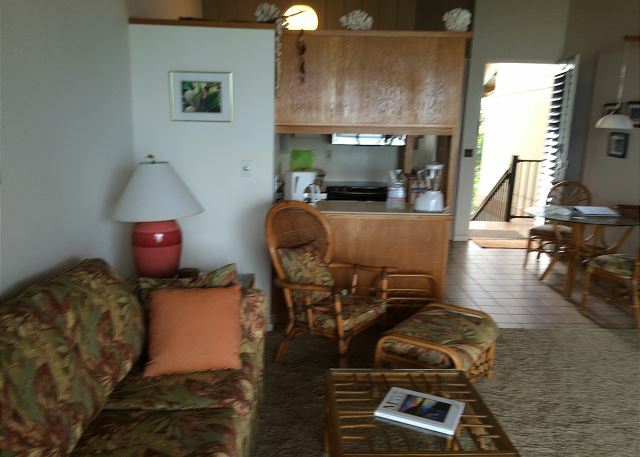 Partner & I had a wonderful time in our Maui condo. The location was perfect. Right across the street was an amazing Health Food Store. Were we went to everyday and sometimes twice a day. Next to the condo was a park. Perfect for mediating. We enjoyed runs along the beach. Look forward to returning to Maui for a conference. Small beach front complex nicely maintained with excellent sunset views and easy parking. Unit was well equipped, staff was helpful. Snorkeling/swimming from small beach next to pool. Lots of coral and fish. Entry and exit to deeper water beyond the reef is a bit tricky due to rocks/coral so recommended only for experienced swimmers. Outside showers at pool to wash off sand. Comfortable lounge chairs with some umbrellas. Really liked the setting and I plan to return. 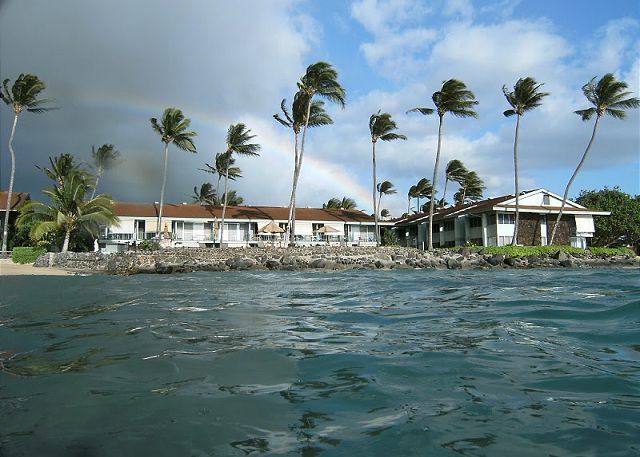 My wife and I stayed at the Hale Kai (#214) for our 2nd honeymoon. It was exactly what we were looking for and more. The accommodations were clean and practical. The furniture was a little dated, but that didn't reflect on our stay there. Probably the most amazing part of that stay was the sunset view from our lanai. Wow! There were some needed minor repairs on the the windows and front door, but in general, we had an awesome stay! Mahalo! 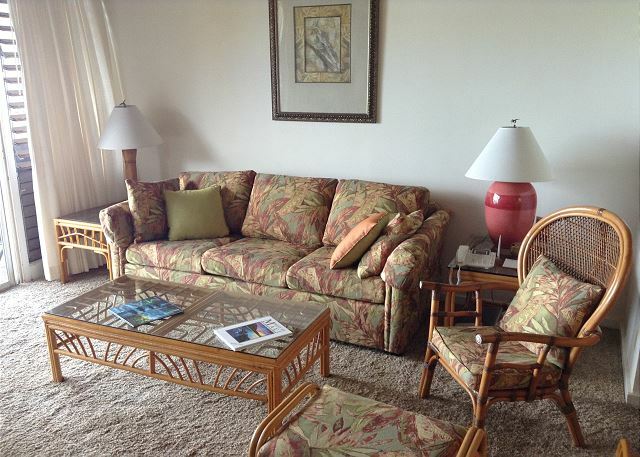 Hale Kai is a charming old Hawaiian style condo complex on a perfect beach front location. You can watch the turtles frolic while swimming in the ocean, take a dip in the pool, shop at the Farmer's Market, stroll along the beach or just sit on the lanai and relax! It's quite wonderful! Rental unit was clean, very well equipped - best we have ever seen in a rental condo!! Bit of traffic noise at times, but not intrusive. Laundry facilities on property. Beach out front rocky. Fabulous whale watching times!! No need for to pay for a whale excursion. Walking distance to grocery, farmer's market, and restaurants!! Wonderful place to stay, nice people, great location. We ahd a wonderful time as usual. This was our 10th time at the Hale Kai. So obviously we love it. We do not usually stay in this unit and it was fine. What it lacked in kitchen amenities it made up with many many hats and a ukulele. We are looking forward to next year...same time, same place! Quiet and pleasant place to stay on Maui. Unit was OK but the fellow residents were great.